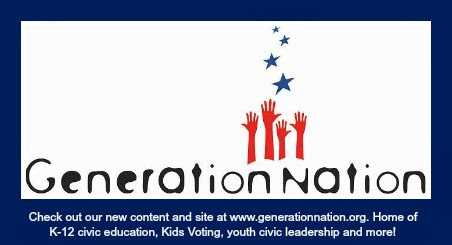 GenNation Learning Center: A convention's in the city! A convention's in the city! How much do you know about the cities where the conventions are held? Identify the cities where the Republican National Convention (RNC) and Democratic National Convention (DNC) will be held. Can you find them on a map? Use Google or another mapping tool to locate the cities and the locations of the convention activities. Research and then compare and contrast the two cities. How old is each city? How many schools? What is the population? What are their professional sports teams, major businesses, and attractions, etc.? Why were these cities chosen for the conventions? How does a convention impact a city? Think about impacts on businesses, residents, transportation, children and other factors. Do you think a convention is good for a city? Why or why not? Where have conventions been held in prior elections? If you were a city leader, how would you persuade the convention organizers to come to your city? How would you inform your citizens about, and involve them in convention preparations? What would you tell the media? Would you emphasize the good qualities or benefits of the city, or your support for a specific political party? When a city hosts a convention, who do you think is involved in making the plans and preparations? How many people does it take? Do you think that people of different political parties work together to make it happen? Why or why not?